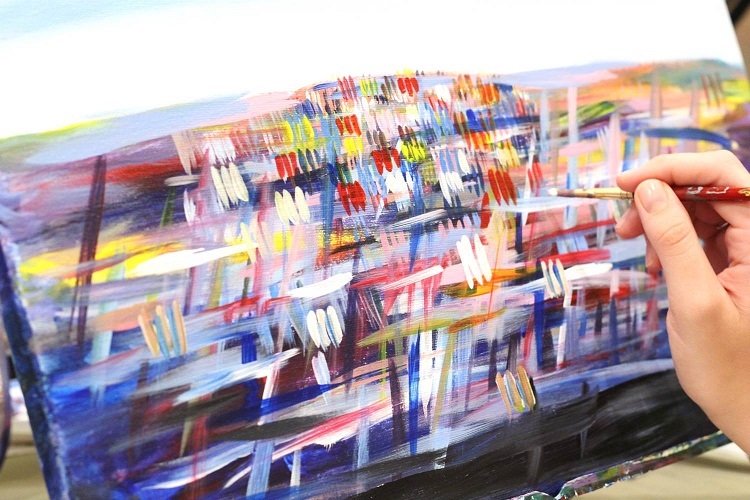 Ready to Paint This Town…. 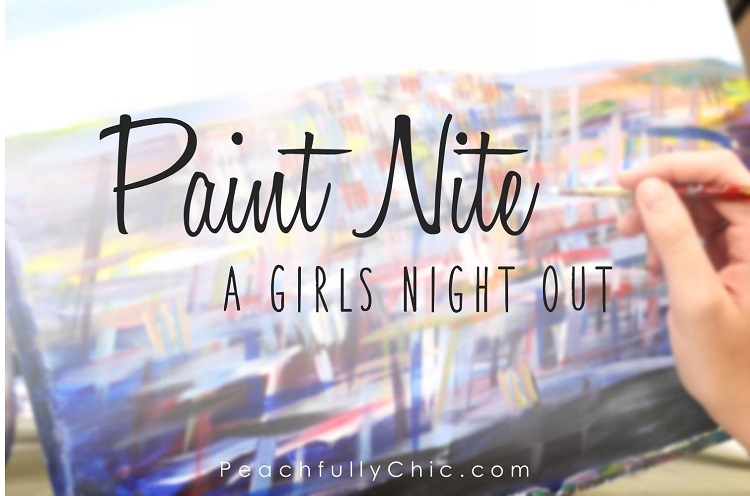 If you’ve visited Peachfully Chic before, you know that I love a great #GNO and am always down for a fun creative session. So it was a blast to take three of my favorite ladies with me on a fun Paint Nite excusion a couple weeks ago. 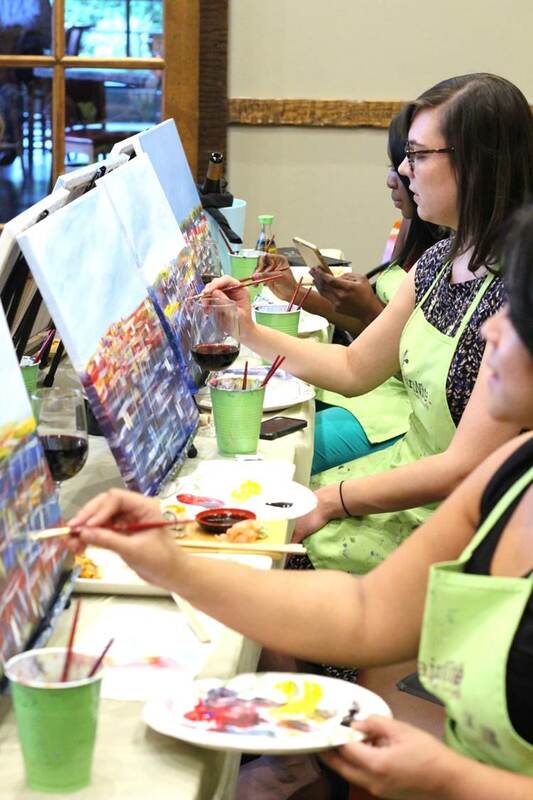 If you’re interested in Paint Nite, the great thing is that you don’t have to be a pro… nor do you have to have any painting experience at all. 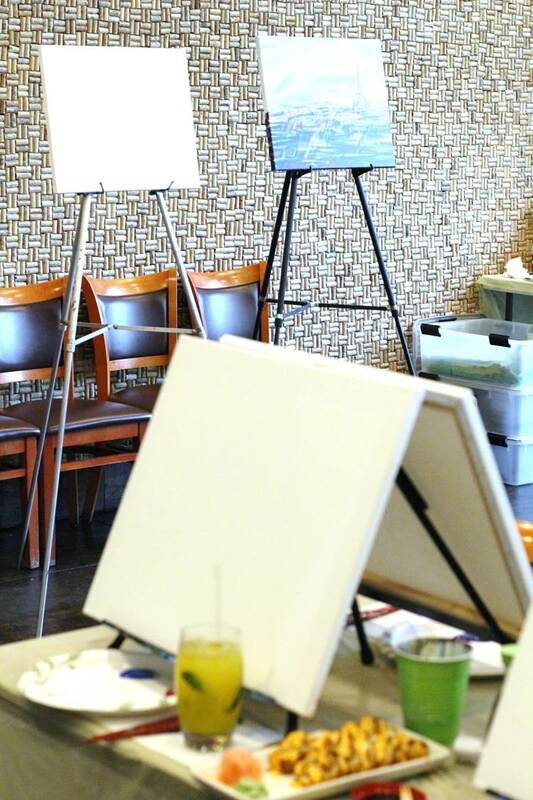 Their calendar is set up that you can find a Paint Nite in your area almost any night of the week, and their instructors give you plenty of time during each step of the process just incase you mess up need a little more time. And did I mention this is an international program? Well it is…. 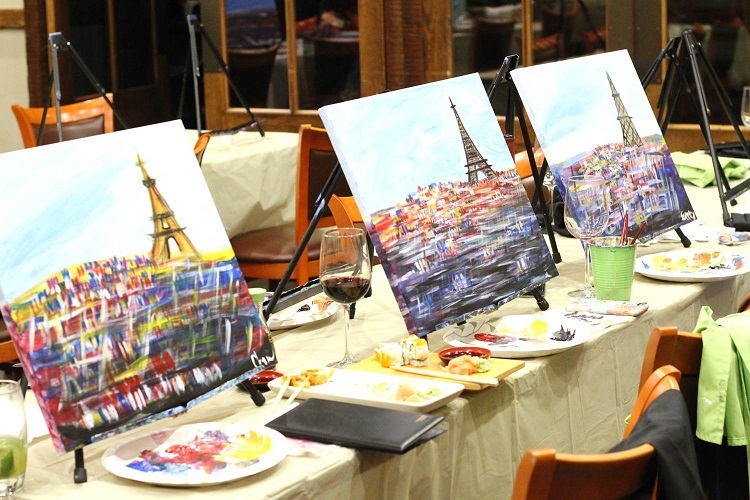 so you can plan a Paint Nite during your next trip across the states, across the border, or across the world. Guess I know what to look for next time I’m in New York feeling inspired by the Whitney! In the end, I think I could have been a little more free-flowing with my brush strokes, but I think considering I haven’t picked up a paint brush in the last few years, I’m pretty happy just to have been in there having a glass of wine, and being creative with a great group of friends! You can actually follow along with Paint Nite on their instagram or twitter accounts and check out #PAINTNITE for a slew of other photos on social! 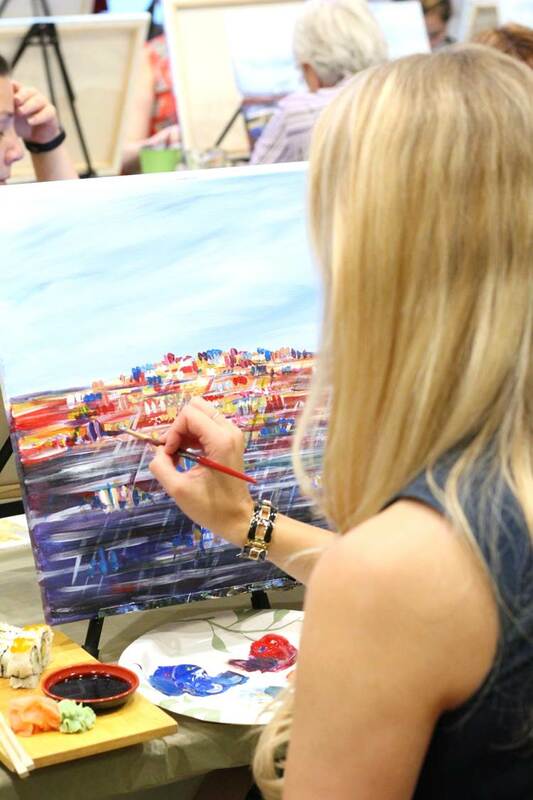 If you’re interested in a Paint Nite in your city, pop over to my instagram @allisoncawley for a 35% off discount code on your next visit. And let me know if you have any other great #GNO recommendations in the comments below!